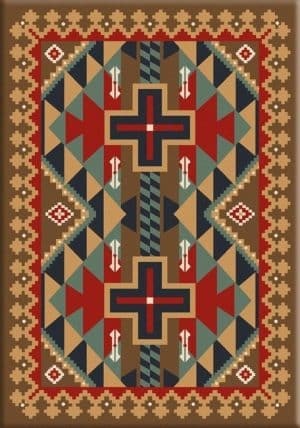 Pine Mountain cabin rug is part of the National Parks collection by American Dakota. The collection celebrates the beauty of the National parks and is ideal for a rustic home. All the prints in the collection are available on this website. 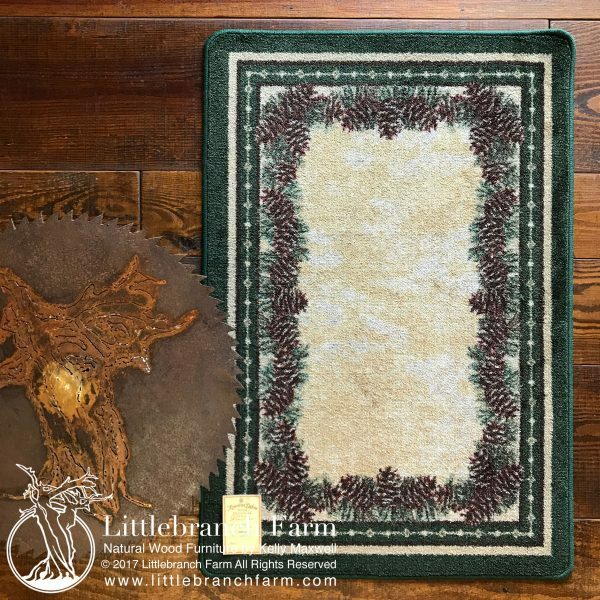 Pine Mountain cabin rug is rustic yet elegant. 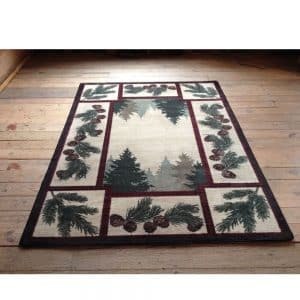 Detailed pine cones border this neutral rug. 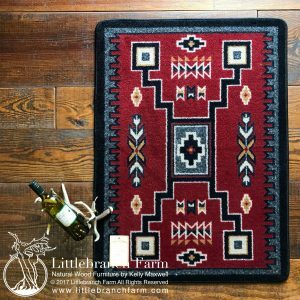 Border rugs are ideal under tables because they really draw the eyes to the furniture placed in the center. 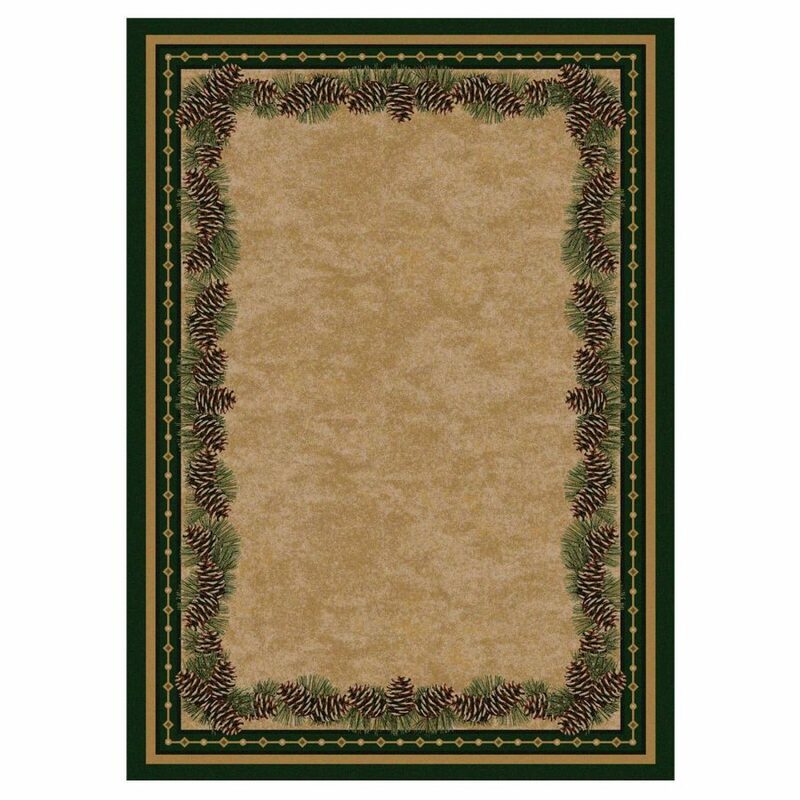 For a dining table that sits 6, we recommend an 8×11. 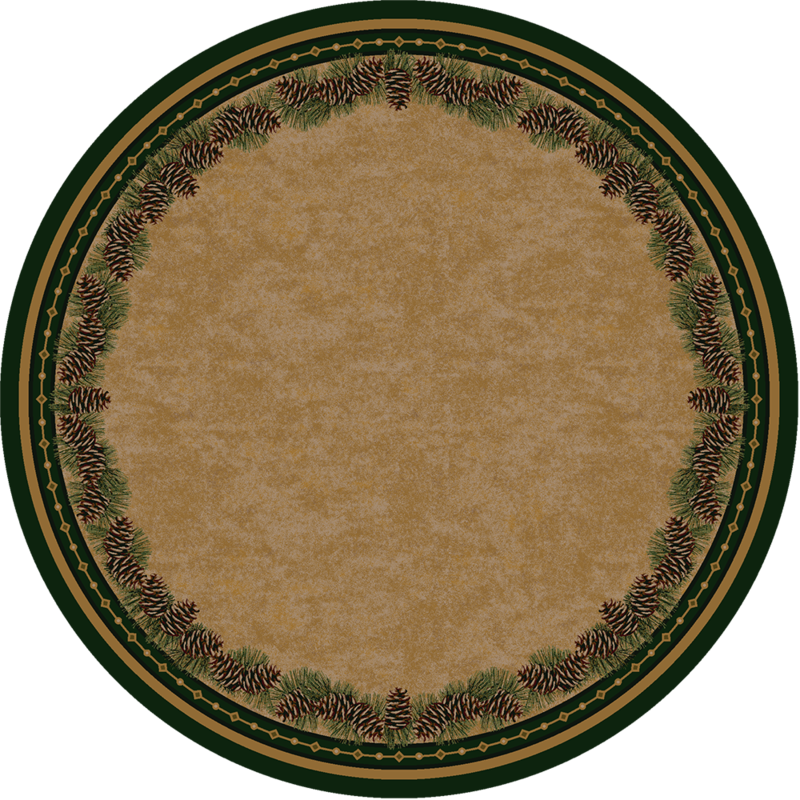 For round dining tables, we also offer an 8ft round rug. 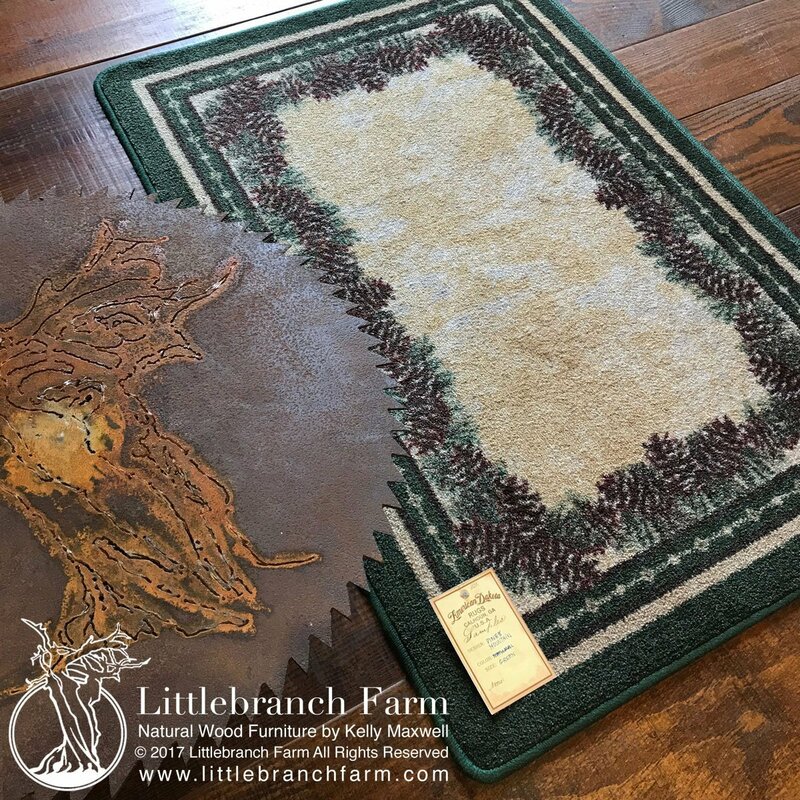 A rule of thumb to pick the right size is to make sure all the chairs still sit comfortably on the rug even when pulled out.